Beautiful coach house situated near the former farm of the Mill. The coach house is furnished very comfortably and has all mod cons. The farm has a lovely garden you, as a guest of the coach house, can also use. The house is near some nice shops and recreational attractions. It's a great place to relax. Due to the central location it is easy to visit the Ijsselmeer or the North Sea coast. 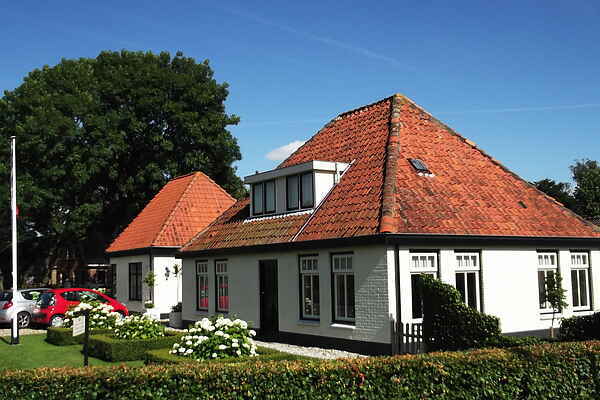 Medemblik, Enkhuizen, Hoorn around the Ijsselmeer or Bergen, Schoorl or Egmond aan Zee are also well worth a visit. From here, it's easy to take a daytrip to Amsterdam, Texel or Friesland. There are several golf courses nearby for golfing fanatics. This holiday house is suitable for tourism and not for working people.